Last year I joined in and actually managed to get one project out of three done - albeit a couple of months later !! 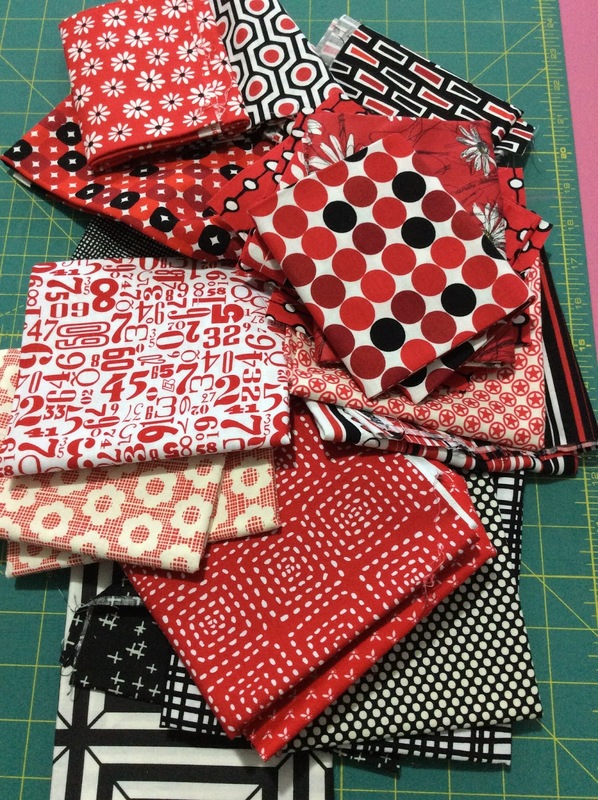 This year I'm listing the following projects - one new quilt, and three UFOs and two have a deadline just after the 100 days is up so I'm crossing my fingers they will get done !! My cousin Susan's Quilts - well this is two projects - one is a quilt top that needs to be quilted and finished and the other is a plan and some fabric ! I made a quilt for my cousin in 2011 but never finished it. It was one of the first quilts I'd made and its actually pretty small so I think that's the reason it never got finished so I've got a plan to make her another bigger quilt and have them both finished to be able to gift her when I visit her again this April - so the deadline is perfect for getting these done. 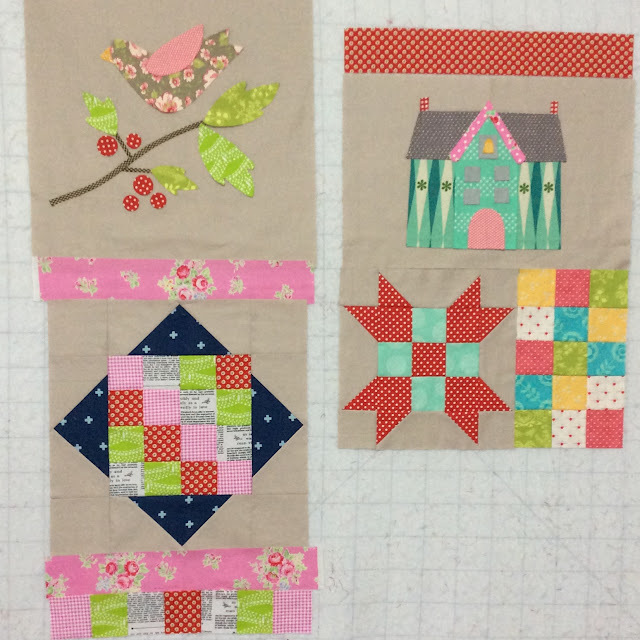 Foxley Village - this is a block of the month from last year that was available in Australian Homespun magazine - its applique, embroidery and traditional blocks and its so cute !! I started late and of course I haven't made a block for a while so I'm putting this one on my 100 day list to get the blocks done and a finished top ! I'm using the needle turn technique that uses wash away paper so a few of the blocks are prepped but all of it still needs to be appliqued UPDATE - I thought I'd get out the blocks that need to be appliqued to work on today and surprise surprise they're all appliqued down - yippee I'm further ahead than I thought !! Aurifil 2014 block of the month - while I was sorting out my sewing room over christmas I came across this old block of the month. I'm putting it on the list as I only have 5 blocks to make and I really love the fabrics in it ! 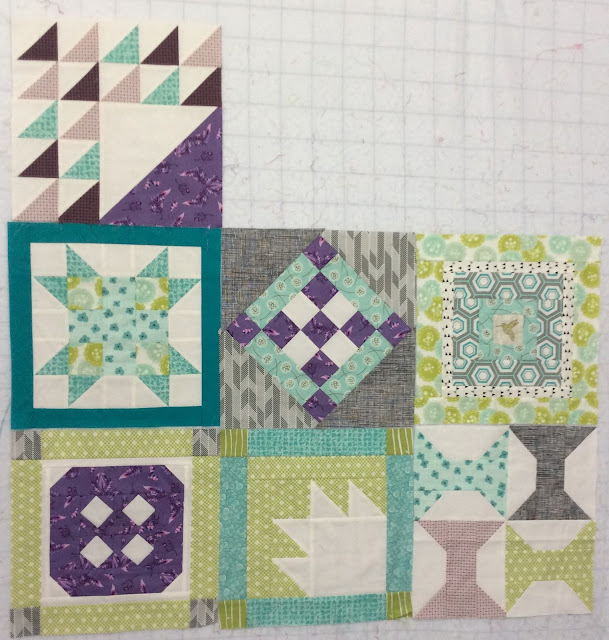 I'm hoping I can get the blocks sewn and the quilt top done ready for quilting !! So that's my three (well 3 1/2) projects that are due to be finished by 15 April 2017 - really hope I can do it !! 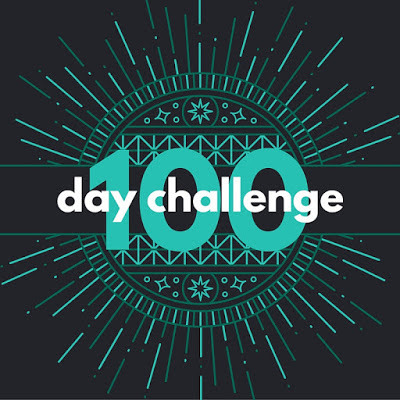 If you want to join in just click on the button below to read all about the Challenge and link up ! Some interesting challenges happening there. Leanne, I delight in the projects you have chosen! I can't wait to see how they all turn out. I'm sure you will exceed your expectations.